We all experience this feeling from time to time: something that doesn’t taste right for a moment or two. We often eat or drink something different to wash it away quickly and without harm. But what if the bad taste doesn’t go away? If a bad taste in your mouth doesn’t go away within a reasonable amount of time, such as days or weeks, it could be a sign of an underlying problem. 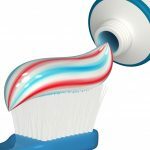 Patients frequently experience a metallic taste and there are a few common causes of this, including diseases like gum disease, medications such as antibiotics or iron supplements, or possible infections. Burning mouth disease, colds, coughs, and sinus infections can often change the sense of taste, as can treatments for cancer, such as radiation or chemotherapy. The best way to ensure that you don’t experience a bad taste in your mouth? Make sure to brush and floss regularly in order to keep potential problems like gingivitis, periodontal disease, and tooth infections at bay. If you have any questions about a lingering bad taste in your mouth or if you would like to schedule a free consultation, please contact our team or make an appointment. Our incredible staff will give you the best dental care possible.